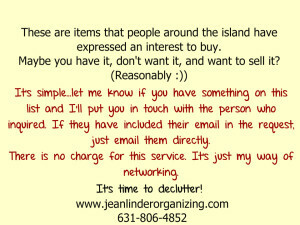 People around the island are in search of the following items. Let me know if you have it to sell and I’ll put you in touch! It’s easy! This is my way of networking, and the service is free. 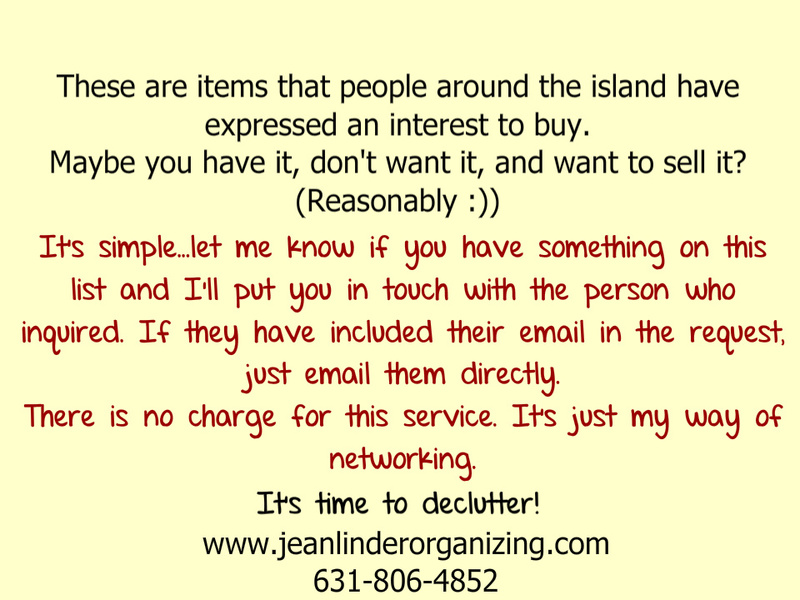 I have an interest in this list myself, because it helps me help my clients declutter. If you would like me to share your item for sale with one of these people, please send me a picture, description, price, location and way they can contact you. I will pass it all on to them. Toddler Play Yard, Kiddie Corral. Nice dark wood bookcases, preferably with doors and cabinets on bottom. Storage piece for Scrapbooking items, jewelry, etc, crafts. Doors on the unit preferred.